The Freedom Federation’s “Awakening” conference convened at Liberty University on April 15 and 16 with the ambitious goal of transforming America by touching off the greatest religious revival that America or the world has ever known. Short of that, the gathering was all about rebranding the Religious Right political movement as a “multiracial, multi-ethnic, transgenerational” movement that cares about social justice (sorry, Glenn Beck). In short, the conference was meant to send a message to young and non-white evangelicals: this ain’t your father’s Religious Right. Given the gathering’s audacious goals, and the number and firepower of participating Religious Right leaders (who it was claimed represented 40 million Americans), attendance was dismal. In fact there’s probably never been a conference with a higher ratio of featured speakers (52) to attendees (a couple of hundred at best, not counting the session that used a regularly scheduled student convocation to give speaker Sam Rodriguez a larger audience). Of course, there were plenty of signs that the old Religious Right and its focus on divisive fear-driven politics haven’t gone anywhere. Speaker after speaker portrayed faith and freedom under relentless attack in America. In spite of repeated assertions that the movement was nonpartisan and would not be co-opted by any political party, it was clear that the top political priorities for these leaders are to help Republicans take back at least one house of Congress in 2010 and to defeat the tyrannical Barack Obama in 2012. Ending abortion and turning back progress toward equality for LGBT people are top policy priorities. Tyranny! Red Alert! America is in big trouble. Freedom is under attack by President Obama and his allies in Congress. And since Obama is no friend of Israel, we’re in trouble with God. Fight! Big threats mean we have to be ready to fight, fight fight. The tea party movement was invoked favorably and, given the turnout, a bit wistfully. Unify. A major theme of the event was the need to ignore major theological differences among speakers and focus on common values such as ending abortion and the Obama administration. Diversify. The conference made a major effort to showcase the Freedom Federation’s claims to be a multiracial, multiethnic, multigenerational movement. Seek Social Justice. Watch out, Glenn Beck, these right-wingers are eager to portray themselves as a social justice movement. Millennial Generation, saving America is your job. That pretty much covers it, doesn’t it? Wait, what about national security? Have no fear, the Heritage Foundation’s Becky Norton Dunlop was on hand to slam the new nuclear arms control treaty negotiated with Russia and to promote 33 Minutes, the new Heritage documentary about the nation’s vulnerability to missile attack. Perhaps the most telling moment about the depth of fear, hatred, and paranoia regarding the Obama administration came during a panel on health care reform. (Virginia’s Attorney General Kenneth Cuccinelli also spoke at the conference bragging about having filed a lawsuit against the reform bill.) The speakers focused mostly on claims that the recently signed legislation is unconstitutional. But the conversation got a lot more interesting when the floor was opened to questions. When someone asked about a provision in the bill that would allow President Obama to create his own personal army of brownshirts, I expected the panelists to dismiss it. Instead, Liberty Law School Dean Mathew Staver agreed that the bill does indeed do that. He said the provision first appeared in law in the 1940s, and was amended by Lyndon Johnson but never used. But, he said, the new bill gives President Obama the power to appoint, without Senate approval, civilians from the private sector who would be given military authority but would report only to the president. Staver warned that Obama’s private medical military could be sent into communities deemed underserved with health care and take control and do whatever Obama orders. Asked by another audience member whether the law has provisions that would require people to take the H1N1 vaccine or force people to be implanted with a microchip (conspiracy theories touted on the far right), Staver called up a Liberty Counsel lawyer who asserted that while the law does not “directly” address forced H1N1 vaccinations or the forcible implanting of microchips, these new private presidential military forces could decide to require it. On a moment’s notice, in other words, Obama and Kathleen Sibelius could be ordering troops to your door forcing you to get what some of the far right consider the mark of the beast. Staver dared Obama to call out the National Guard to try to enforce health care reform in Virginia, saying that’s a fight Virginia would welcome. When an audience member followed up with a question about the governor’s power to call up a militia to combat federal tyranny, lawyer Kuklowski demurred, acknowledging that the U.S. decided “in the 1860s” that states don’t have the right to take up arms against the federal government, and he didn’t really see that principle being revisited. That’s a relief. It was hard to accept the impending end of religious liberty in America while seated in the massive sanctuary of Thomas Road Baptist Church on the campus of the aggressively growing Liberty University. The sense of unreality was reflected in the comments by Rachel Hepkins, a law student and participant in a Black Community panel, that her parents had fought apartheid in South Africa and had fled to the U.S., and how said she is to see the freedoms they had fought for under attack here. Maybe she should be studying history. The corollary to the threat theme was the need to fight the treats, to mobilize right-thinking Americans, to organize for the 2010 and 2012 elections, and generally to prepare for the titanic battles against the evil that is undermining America, whether you view that evil as Obama, gay people, the federal courts, or the curse that is upon the nation since we elected Barack Obama president (though some believe that Obama is a SIGN of the curse, bad leadership being a punishment by God for having turned our collective backs on Him). Mat Staver, Dean of Liberty U. Law School and Liberty Counsel, served as the host for the weekend, and served up tea-party-friendly rhetoric about the revolutionary war. Staver argued that Americans today are facing worse oppression from the federal government than the colonists did from King George, and he wonders if people are ready to fight. “What about our time?” Staver asked, “Does the spirit of the American Revolution still live?” Staver celebrated the Culpeper flag, which includes the words “Liberty or Death” and “Don’t Treat on Me” and incorporates a rattlesnake, which will turn deadly when attacked. Sam Rodriguez, the leading Latino voice of the Religious Right, was among a number of speakers who told Liberty University students that their generation needs to “rise up” and be the “Joshua generation” that would save America from its secularized self. Although, it may be that Liberty students hear this all the time. Many were chatting with each other, reading, or texting during the Rodriguez speech. Caner warned that it will be one hellacious fight, saying that when revival comes to the nation, all of hell will marshal its forces to stop and silence the nation’s Christians. Religious Right leaders have been increasingly willing to overlook theological differences in order to broaden their political impact. For example, many evangelicals learned to set aside anti-Catholic sentiments in order to work with anti-choice Catholic leaders to seek the criminalization of abortion. More recently, fundamentalist leaders of the Religious Right have been increasingly willing to embrace those from more Pentecostal traditions, including supporters of the New Apostolic Reformation, a movement teaching that God is working through a set of anointed prophets to bring the right kind of Christians “dominion” over all aspects of culture: government, business, education, arts and entertainment, family services, media, and the church. 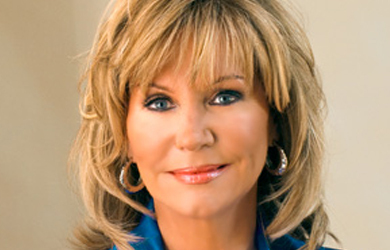 Self-proclaimed prophet Cindy Jacobs, for example, was among the conference speakers. Among her books for sale was “Deliver Us from Evil,” which listed on its cover some of the evils in our culture, which include not only Satanism and Freemasonry, but Pokemon and Harry Potter. Many speakers urged participants not to judge each other’s theological differences but to focus on their common values and country-changing goals. When a musician performing at the Friday night rally took the microphone and spoke briefly in tongues, Lou Engle rushed to the stage to apologize abjectly to anyone who was offended. Engle said he had promised there would be no speaking in tongues, presumably in deference to officials from Liberty U, whose founder the late Jerry Falwell was theologically opposed to the practice. Religious Right leaders have clearly taken note of the fact that many younger evangelicals think that alleviating poverty is a more pressing concern than, say, opposing civil equality for gay people. So there’s a new push to portray the Religious Right as a social justice movement. Jackson, Rodriguez, and Engle were among speakers to talk about justice and righteousness. 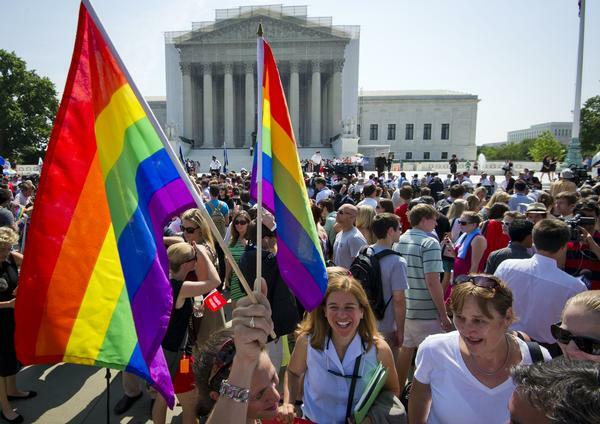 Younger evangelicals might view equality for gay people as a justice issue, but that’s only because they have failed, say these leaders, to grasp that true justice cannot be separated from their interpretation of biblical mandates for righteousness. The Heritage Foundation, which has been trying hard to keep social, economic, and national security conservatives working in political harmony, is offering its support with a new small group study guide, “Seek Social Justice: Transforming Lives in Need.” Among those it features is Star Parker, who calls redistribution of wealth “a violation of scripture” and has made a career out of speaking at right-wing conferences and denigrating people in poverty who accept government assistance. In addition to the main event, participants had a choice of breakout sessions on topics you’d expect at a Religious Right event, such as abortion, jihadism, and the gay agenda, as well as sessions on Black and Latino values and messaging, social justice, and the importance of the Millennial generation. In a panel on the coming nomination to replace retiring Supreme Court Justice John Paul Stevens, right-wing legal activists Phillip Jauregui, Kelly Shackelford, and Ed Whelan recognized that with Barack Obama as president and 59 Democratic senators, Stevens would not replaced with a Justice to their liking. However, they were somewhat hopeful that after the bruising health care battle and the drop in Obama’s public approval rating in the year since the Sotomayor fight, that Obama might choose a more moderate nominee than he would otherwise like. In pursuit of their first goal, speakers trashed widely respected potential nominee Diane Wood as an “extremist” with an “incendiary record on hot button culture war issues.” The only good thing about her, said Shackelford, is that she’s 60 and might not last too long. A session on pastors and politics was moderated by Vision America’s Rick Scarborough, who called Obama a “Marxist president” and his administration a dictatorship. “He’s ruling against the will of the people. He’s got to be stopped. 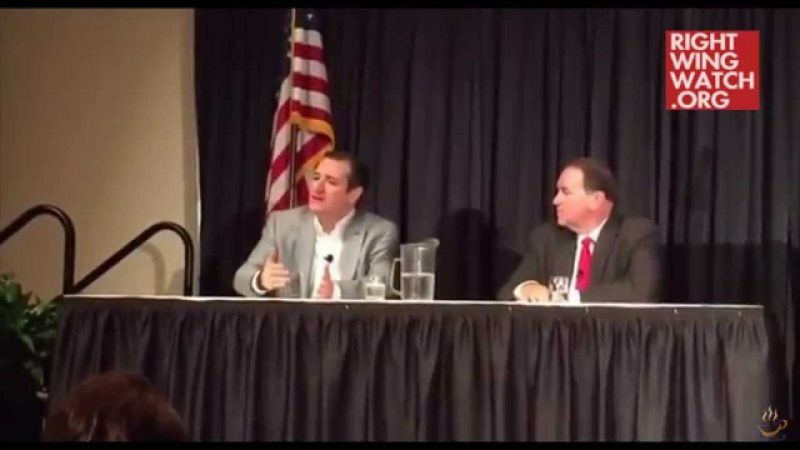 That’s the short-term goal.” Panelists and audience members talked about the number of people at recent tea party rallies and the need to get pastors and people in faith out in front of that movement to prevent it from becoming a disappointment. Much of the panel focused on the fact that churches haven’t done enough to stem the cultural slide, and that’s why it’s up to pastors to get involved and show leadership. Richard Land told participants the good news is that whether America has a future doesn’t depend on what the lost people do, but what the saved people do. The bad news, he said is that if we don’t like what’s going on, we only have ourselves to blame. Among the board members of Joyner’s Oak Initiative is retired Gen. Boykin, who he said has been teaching on the principles of warfare. One of those, Joyner says, is “force multiplication,” which he described as a strategy based on identifying a small number of high-impact people that could make necessary change. He cited Tolkien’s Lord of the Rings: while the outnumbered forces of good waged a battle against the overwhelming forces of evil, the small Hobbit Frodo won the war. Major cultural change, he said, could be brought about by the square root of 1 percent of the people – in other words, 100 committed people can radically impact culture of a city of one million. Maybe that’s why conference organizers were publicly not sweating the low turnout.